I posted earlier today about the Poetry with Friends sessions restarting in September after our summer break. Some of us can’t wait until term starts and are meeting for lunch and a catch up this coming week. In celebration of this lunch and Poetry with Friends, here is a poem a friend sent to me over the summer. It’s by Kaylin Haught and it’s called God Says Yes to Me. 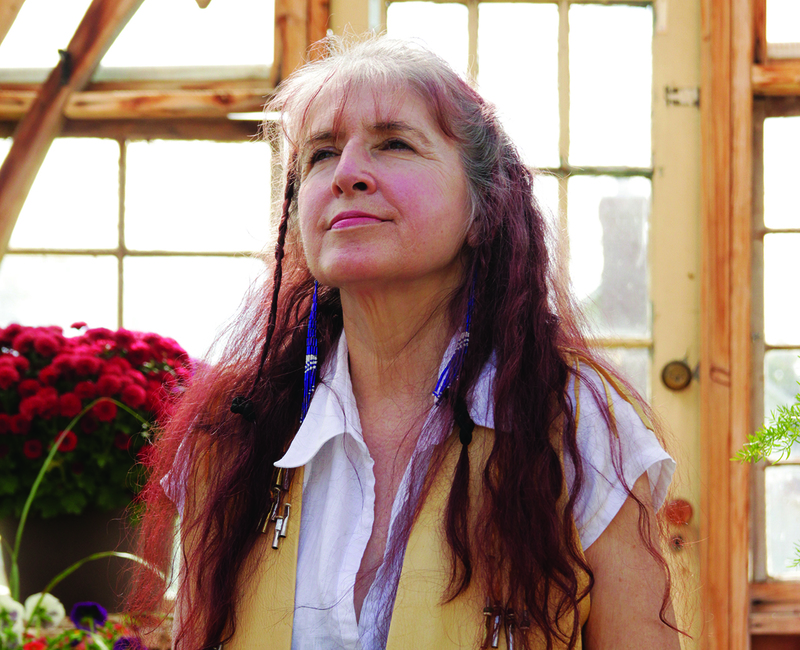 Haught is an Oklahoma poet. She is the daughter of a preacher, a believer since she was knee-high. Now she finds God in nature. Sometimes Haught misses church. She might go back one day, she says. 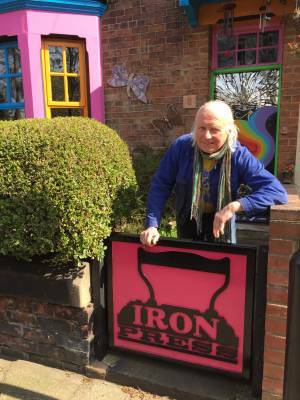 It’s over a year now since artist Gail Curry and I started Poetry with Friends at The Mission in North Shields. We had no idea how popular our poetry appreciation sessions with a difference would be. 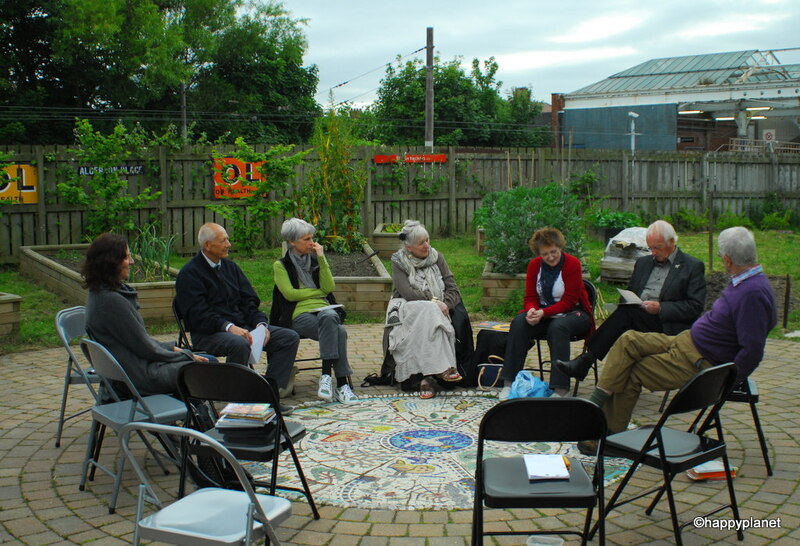 The sessions spread to Whitley Bay library on Thursday mornings and this summer we enjoyed four sessions in The Station Masters’ Community Wildlife Garden next to Whitley Bay metro. 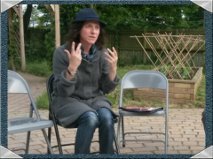 And it was in the garden where our last Poetry with Friends session was held in July. We enjoyed the sun and shared poems by Gerard Manley Hopkins, e e cummings, Walt Whitman, Siegfried Sassoon, Philip Larkin, W.B Yeats and my favourite of the morning: Lupins by Seamus Heaney. We talked of lupins but also the sound, look and rhythmn of words. 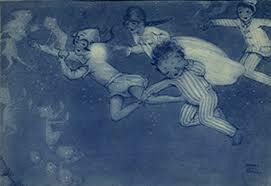 We looked for and were delighted to find links between art, music and poetry. 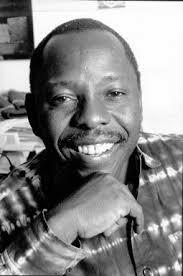 We also discussed Nigerian writer and environmental activist Ken Saro-Wiwa and heard one of his poems. I got embroiled in what I was saying and seemed to lose control of my fingers. That’s the power of poetry. And of politics. The Silly Season has been part of British Culture for years. It’s that time of year (i.e. the summer holidays) covering the gap between the recess of Parliament and the start of the political party conferences when newspapers and broadcast media resort to frivolous stories to fill airtime, paper and nowadays, websites. This year’s Silly Season started off with calls for “Cull the Gulls” in response to aggressive sea gulls but soon the media found itself struggling to cope with Big Stories including the plight of migrants in Calais and, who’d have imagined it, Corbynmania. If you’re reading this on Mars you might not realise that after the May elections Labour’s leader Ed Milliband stood down and an election to find a new leader was announced. 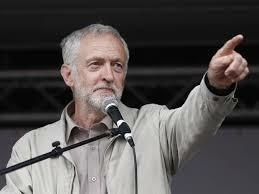 A rank outsider, Jeremy Corbyn managed to get himself nominated and has sparked fury & excitement in equal measure! 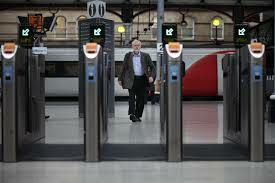 The general public seem to love Jeremy and it looks like he might become the party’s next leader. 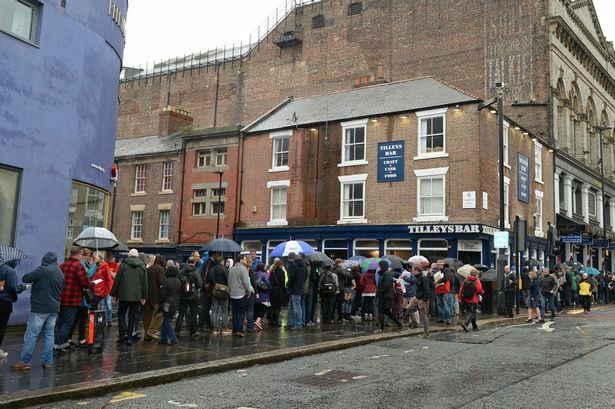 My friend Peter Mortimer managed to bag a ticket to a Corbyn rally in central Newcastle on Tuesday evening. The 1200 free tickets went like hot cakes and a rally outside the event attracted about 600 others. Corbyn’s whipping up more frenzy than a teen pop idol! Corbyn connects with thousands of young people (ie the future of this country) in a way no other politician does. I’m fascinated by this election run and look forward to devouring online, paper and broadcast reporting as we near the climax in less than a month. Pete wrote down his thoughts on the rally for Newcastle’s Journal. Please read. Last night I had my second Theatre Space North East experience this summer. Amazing actors, wonderful setting and the perfect companion, Jennifer C Wilson! Last night, I had the pleasure of attending a production of Twelfth Night by Theatre Space North East, a group who have put on a number of performances in a variety of venues over the years. Last night’s was the last performance of the season, in Barnes Park, Sunderland, which has also included Hamlet, which my friend and fellow scribe Elaine Cusack recently reviewed. Having attended that performance, she invited me along last night, and I am very glad that she did. I’ve been involved with community & volunteer-run organisations for almost 30 years and never cease to be amazed by the power and enthusiasm of passionate volunteers. I encountered two examples of kindred spirits working in perfect harmony last week in Angus, Scotland. 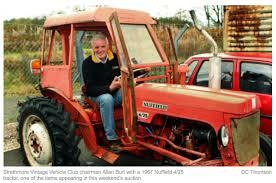 The Strathmore Vintage Vehicle Club has been running for almost 50 years. It’s now a registered charity and its fantastic headquarters/museum is housed in Bridge View House, near Glamis. 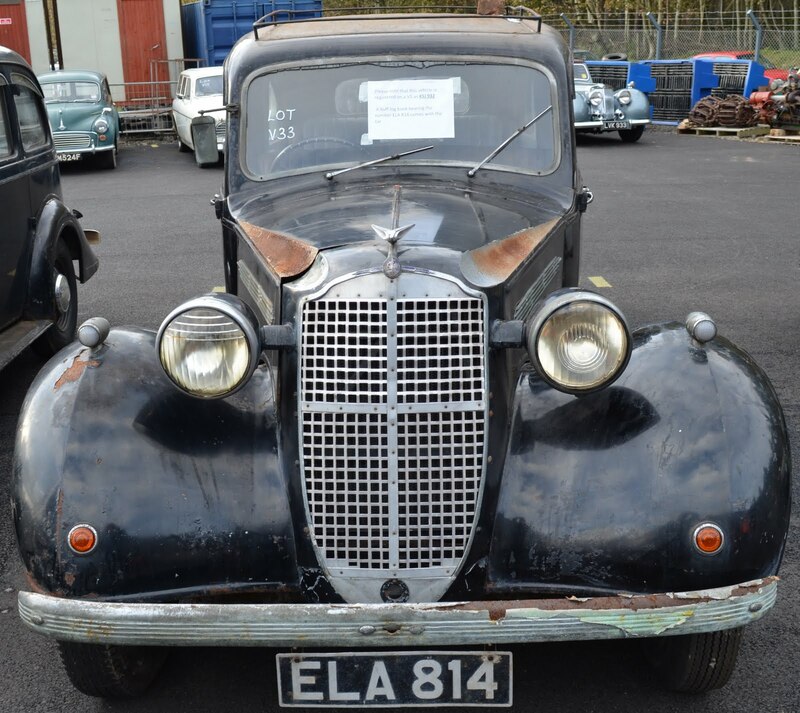 The purpose-built building houses office space, a workshop and showroom packed with vintage vehicles including delivery vans, tractors and my fave, a turquoise Hillman Husky. The building was built after lots of fundraising and with the help of the volunteers’ brawn. I got to talk to a few of the volunteers and they let me try out a vintage bike from America. I circled the car park as one of the volunteers kept an eye in case I cycled off! I suspect some of the volunteers are much older than they appear and I bet regular spells in the magical workshop and fundraising activities help keep them young. I think the glorious scenery in that part of the world helps too. Check out the website http://www.svvc.co.uk and visit the museum if you can. Recommended. At the museum I met two more enthusiastic volunteers who live in nearby Kirriemuir. When they heard by chance that the town’s camera obscura was being closed down after the local council has forced to halt funding due to spending cuts, the locals got busy via social media! Within weeks the building was open to the public and continues to be staffed entirely by volunteers. So why is the building important? 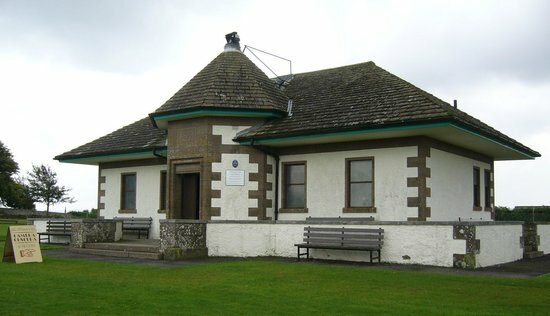 Well it was a cricket pavillion gifted to Kirremuir in 1929 by the town’s most famous son, J M Barrie. He was passionate about cricket but the architect of the pavillion was equally passionate about camera obscuras and installed one. I was given a grand tour of the pavillion and was shown how the camera obscura works. It’s still magical watching nearby outside events on a dish in a darkened room! I predict great things for the venue as the volunteers are teeming with ideas and enthusiasm. Go Kirriemuir, go! I ended my visit to Kirriemuir by visiting J. M. Barrie’s grave nearby. 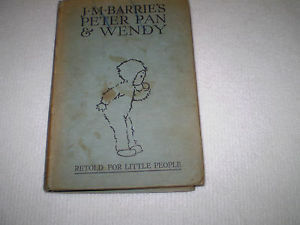 I loved my copy Peter and Wendy retold for Little People by May Byron and illustrated by Mabel Lucie Attwell when I was a tot. I still have my copy with rear board missing and black and white drawings coloured in by me and the book’s previous owners…my Mum and her sister. It’s part of my family history and I treasure it. 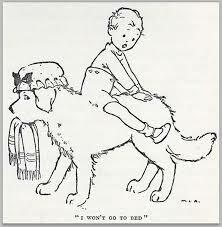 Those Attwell sepia and cyano coloured images will never fade from my mind and how I longed for a dog like Nana! Poets, writers, artists and musicians fill every flat and house in Whitley Bay and its environs….or so it seems. I spent almost 20 years down there in that there London place. 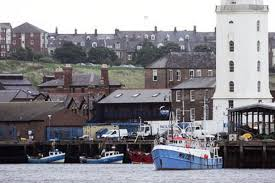 It’s supposed to be teeming with culture but it ain’t got nothing on the North East, especially North Tyneside. I walk out of my house and trip over writers and artists. The streets are full of ’em! and listen to her work live on Sunday or via iplayer. 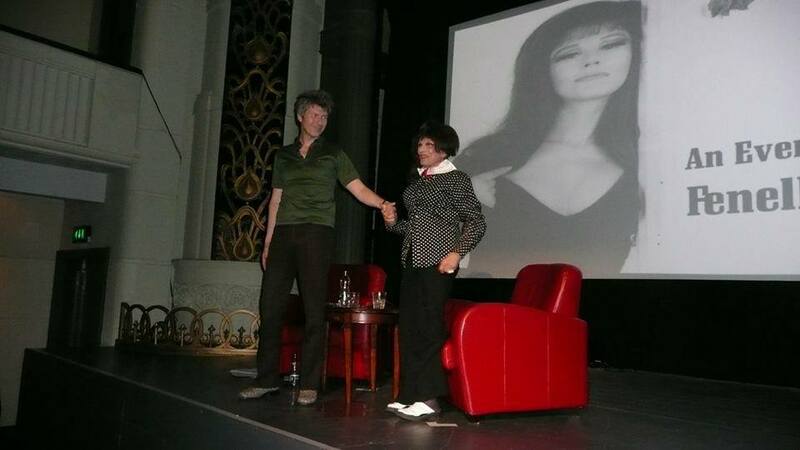 I heard about the death of Cilla Black from a friend last night as we sat on red velvet seats in Newcastle’s Tyneside Cinema awaiting the arrival of another British female icon, Fenella Fielding. 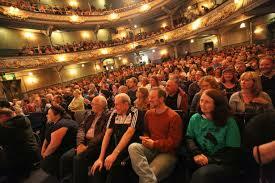 Newcastle’s legendary independent cinema was the ideal venue for last night’s event to take place. It was a screaming, I mean, screening of Carry on Screaming! 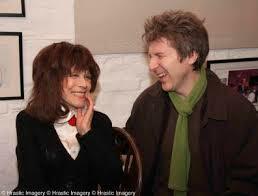 followed by a two hour session of Fenella in conversation with her friend (and mine!) Simon McKay. The Tyneside’s red velvet seats and swooshing red curtains matched the infamous red velvet dress Fenella was poured into for the role of Valeria in Carry on Screaming! It was thrilling to see a 20 something Fenella look a like in the audience complete with long black hair and dress. Of course Carry on Screaming! steals from/salutes the genuis of The Addams Family. 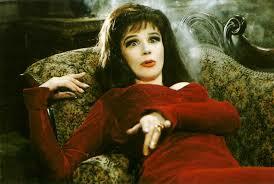 Even Fenella’s “Do you mind if I smoke?” line was nabbed from Morticia. All is forgiven. It was the way the Carry On team worked. 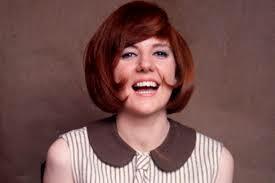 I won’t reveal Fenella’s age but she’s got some years on poor Cilla and Fenella’s career has lasted 60 years. And she’s still working! It was great to hear her share stories but she’s not a gossip. She is a pro, after all. Last night’s event was sold out and we had to queue out the door before it started. Fenella got not one but two standing ovations. She earned it. Especially the reading from Frankenstein at the start. 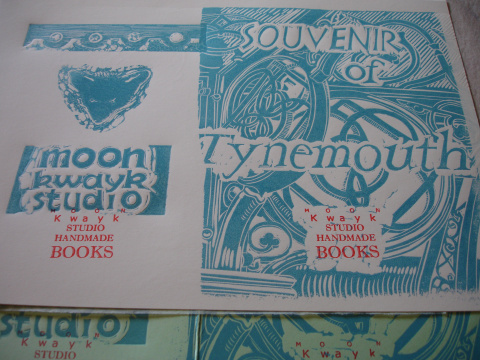 Souvenir of Tynemouth is my current book. It’s the latest handmade book created by artist Anne Proctor as part of our ongoing collaboration. Anne and I were interviewed by Simon Logan of BBC Radio Newcastle and the piece was aired yesterday afternoon. 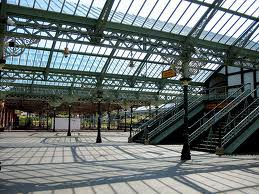 We talked about our work together, the book and what we think of Tynemouth station and village. I spent almost a decade involved with radio, particularly community radio. I love the intimacy of radio. Trevor Horn was wrong: video did not kill the radio star. Catch it again on BBC iplayer. 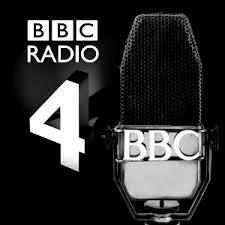 The interview starts two hours and 53 minutes into Simon’s slick and enjoyable four hour show.